It is a perfect solution for home or travel, small design makes it be easily carried away. Can remove stubborn wrinkles from clothing, drapery, furniture upholstery, bedding and table linens. Wouldn't heat up enough to provide steam. Had strange add on for electric plug. Plastic water window to dark to see water level. To expensive to return so just threw out! Home territory searches the web to find the best prices and availability on Garment Steamers and related products foir your home like 200ml 800W Powerful Advanced Handheld Garment Steamer, Portable Fabric Steamer, Fast.... For this page, related items include products we find that match the following keywords: "Garment Steamer|Fabric Steamer" at our vendor partner Walmart - Click More Info / Buy Now to check for price rollbacks!. 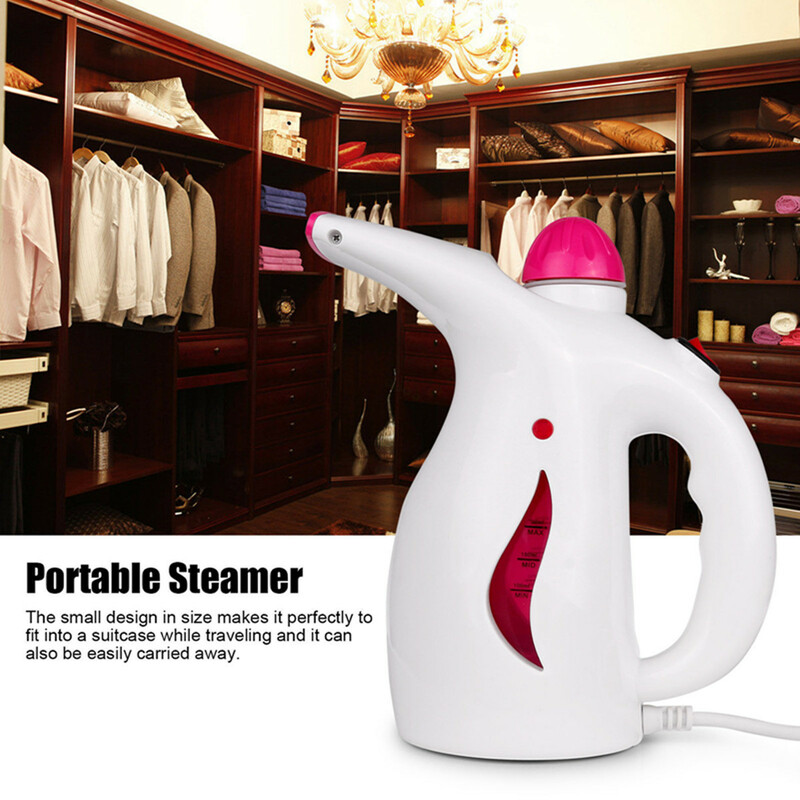 200ml 800W Powerful Advanced Handheld Garment Steamer, Portable Fabric Steamer, Fast... is one of 154 Garment Steamers and related products available for sale through HomeTerritory.com, If you have any questions on this product, please give us a call at 734-971-1210 during the hours of 9am - 5pm EST for assistance. Thank you for shopping at Home Territory, the home furnishings superstore!